Jacqui’s gorgeous smile had me hooked on today’s real wedding from the very first moment I saw her. Wow. A beautiful bride and gorgeous groom who totally prove that a wedding is all about people: friends, family and being loved! 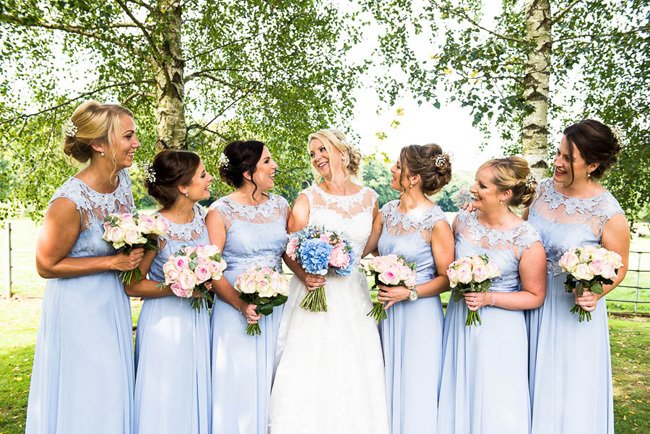 The details are there to inspire you of course: the fabulous bouquets by Etsy sellers including my favourite, Pumpkin & Pye; the wonderful cake display created by a friend; Jacqui’s stunning Monsoon wedding dress and the delicious styling of Gate Street Barn. You’ll love this! This doesn’t happen too often – such a beautiful wedding comes in that I feel compelled to share 100 images with all of you wonderful blog readers. But as you may have read in part one yesterday, I begged photographer Sam Clayton to share it with all of you – and I couldn’t be happier to have so many amazing pictures and ideas to share! So this second feature of Laura and Jamie’s DIY wedding starts where we left off yesterday morning, with Jamie waiting as Laura walks down the aisle – I love the anticipation of this part of the day, and the romance as eyes meet… and today’s blog feature only gets better and better as we scroll through all the beautiful wedding pictures. He proposed when Spain won the world cup… with a ring he’d bought in Santorini and snuck home without her seeing. They danced to Romeo & Juliet. She is the most glowingly beautiful bride I’ve ever seen, and the romance here sparkles like static electricity from the screen. 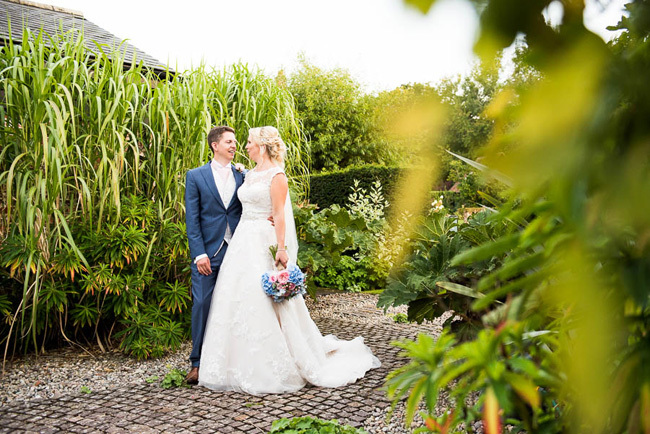 Laura and Jamie were married at Gate Street Barn in May. Their wedding style was old English shabby chic. The lovely Sam Clayton was their wedding photographer, and she did the most amazing job. I saw this wedding on facebook and – well, let’s not be shy about this: I begged Sam for the images to show you on English Wedding Blog. She said we could have them… It made my week!